They're an Australian national icon but with only around 40,000 thought to be left in the wild, the Koala is clinging on for survival. Australia has now unveiled a 34 million dollar plan to help bring its koala population back from the brink. The money will be used to establish forest reserves and build a hospital to care for injured animals. But not everyone thinks this plan goes far enough, including Deborah Tabart, CEO of the Australian Koala Foundation and also known as 'The Koala Woman'. 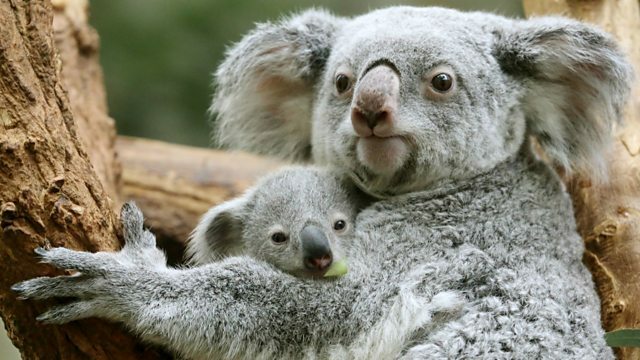 Picture: A mother and baby koala sitting in a tree. Credit: Roland Weihrauch/AFP/Getty Images.